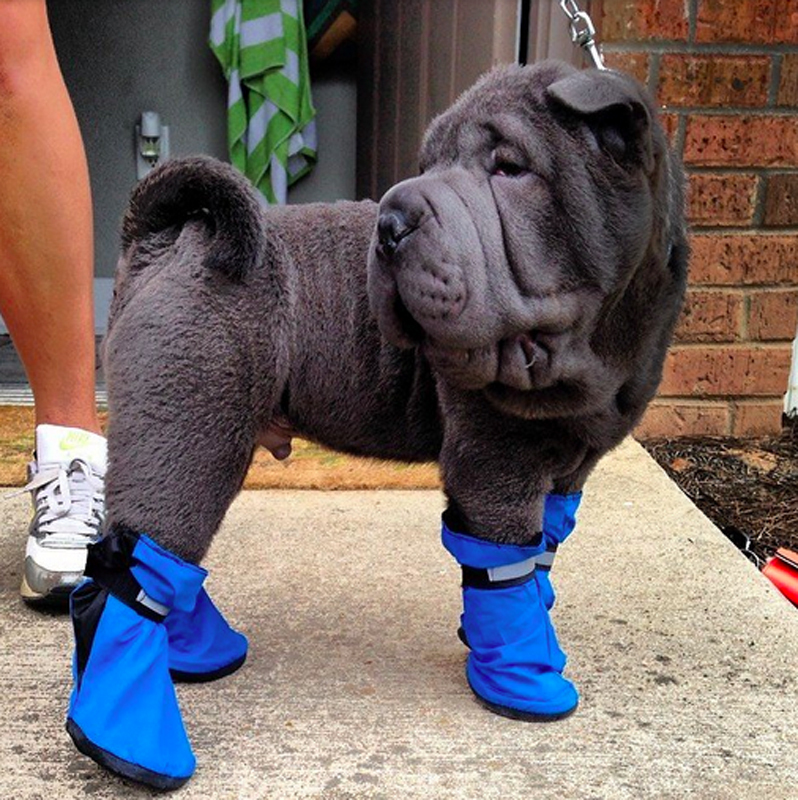 Blue doggy boots are all the rage this year. 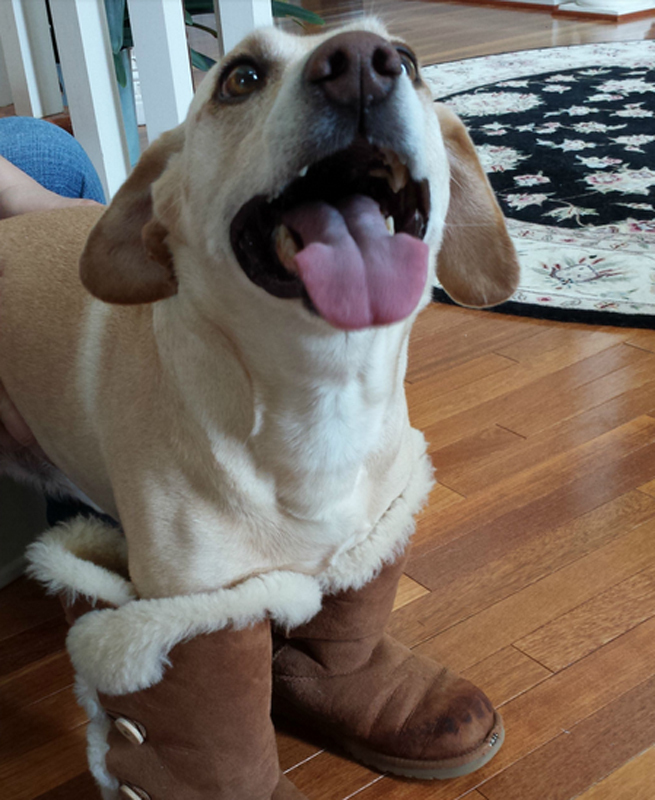 This pooch looks good in her boots, and she knows it. 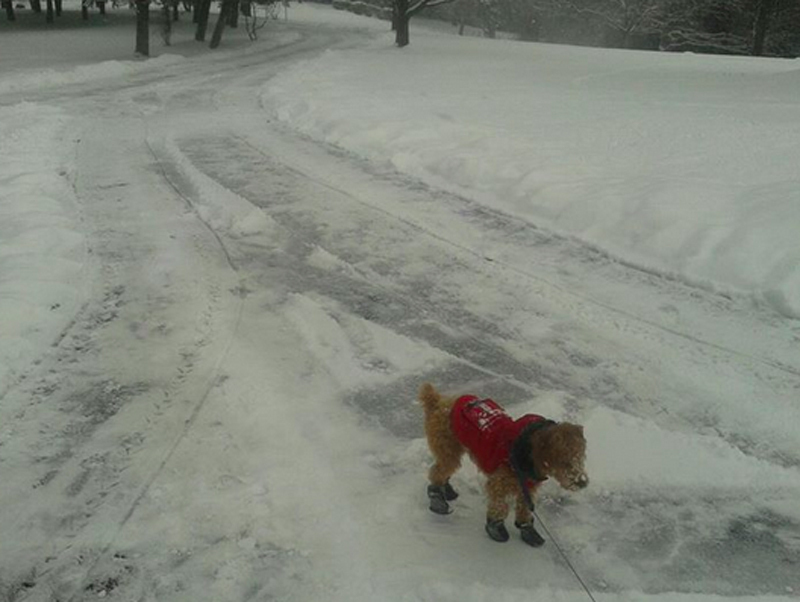 It's important to have sturdy boots in inclement weather. 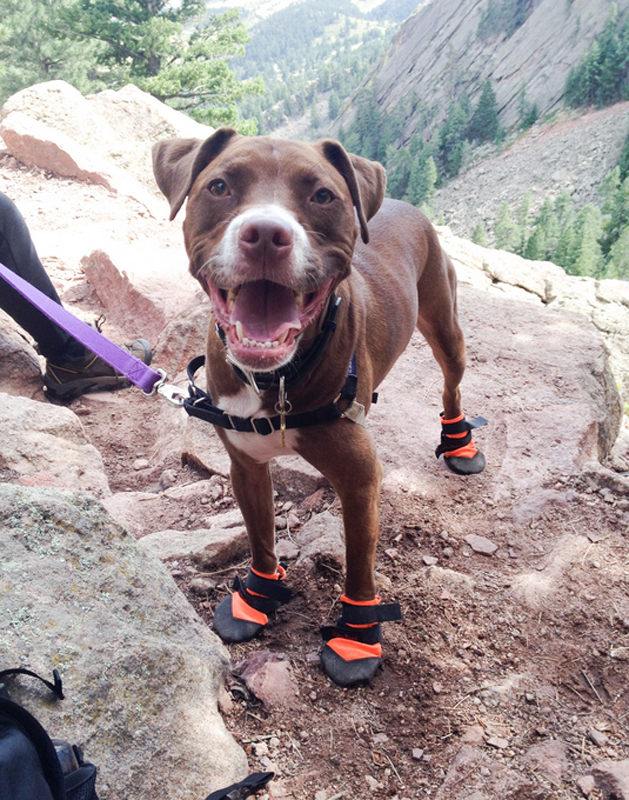 Not all dog are excited to have boots on their paws. 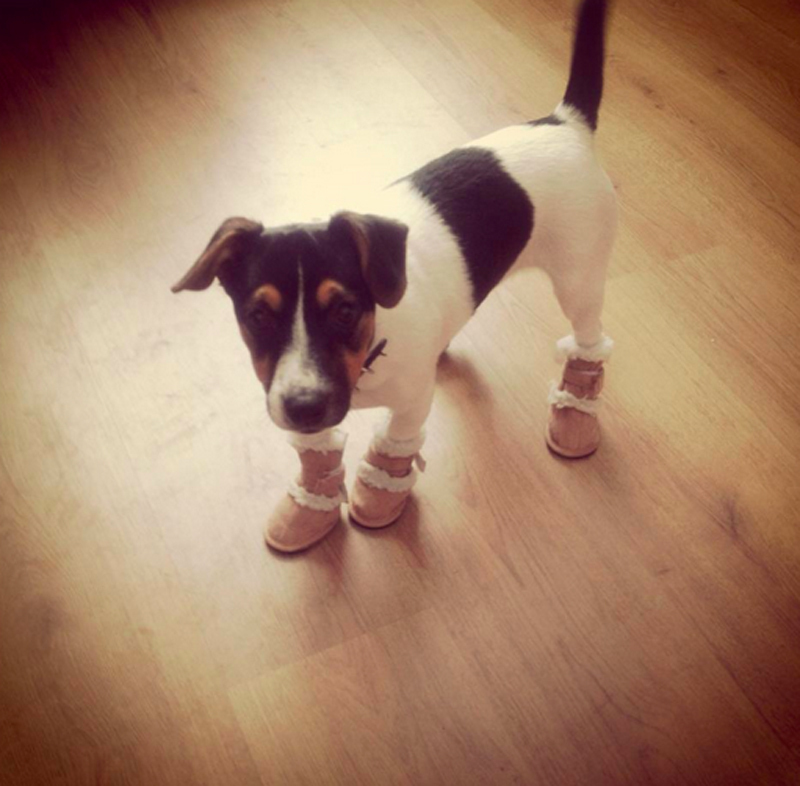 How adorable is a puppy in boots? Super adorable. 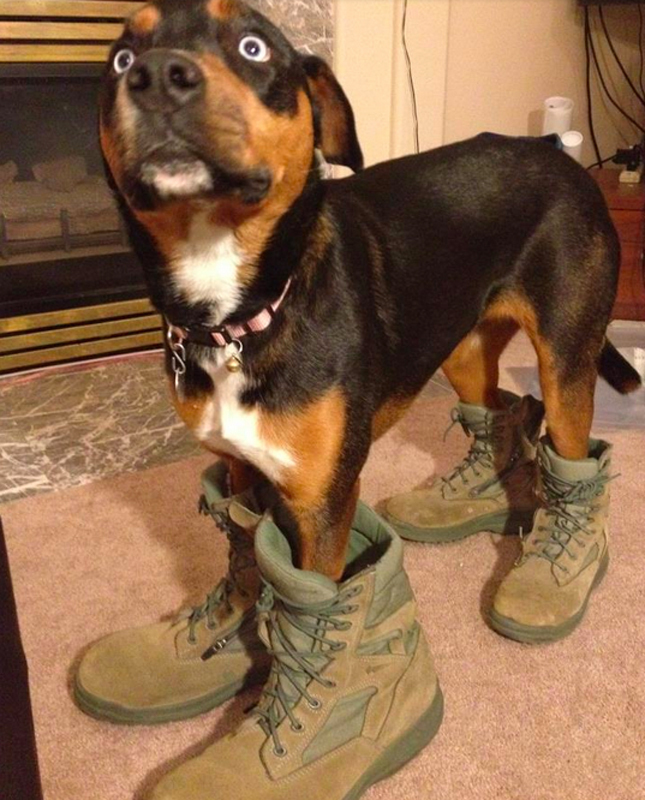 This dog likes to strut his stuff when wearing his cool boots. 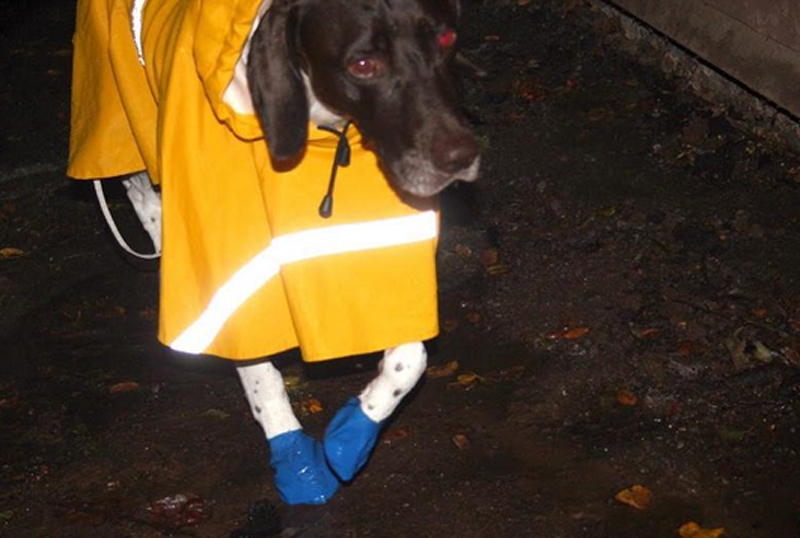 It's nice to keep your paws dry when the rain comes pouring down. 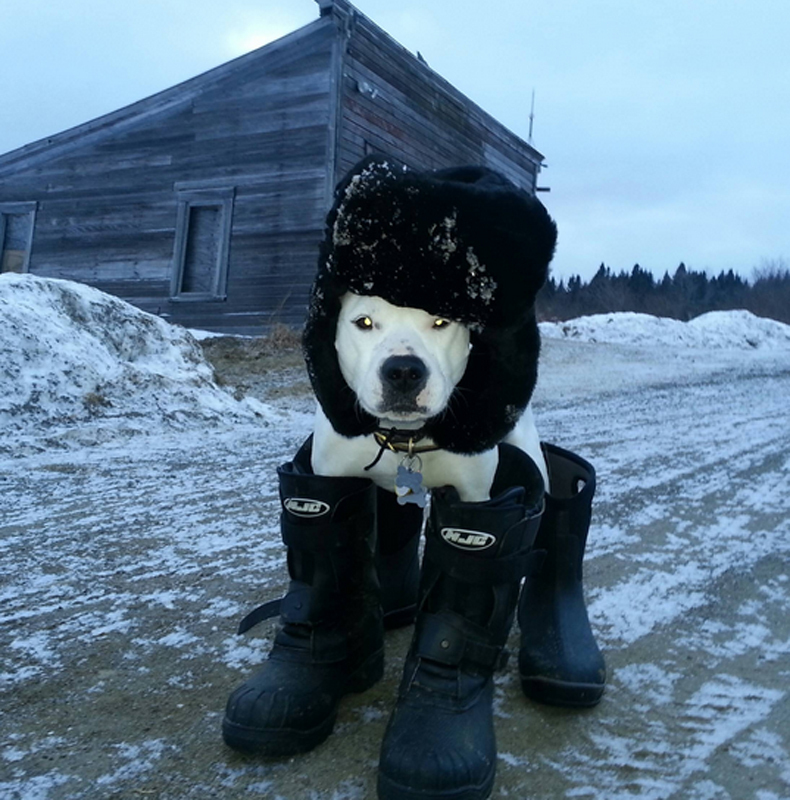 This pup is feeling warm and cozy in his footwear. 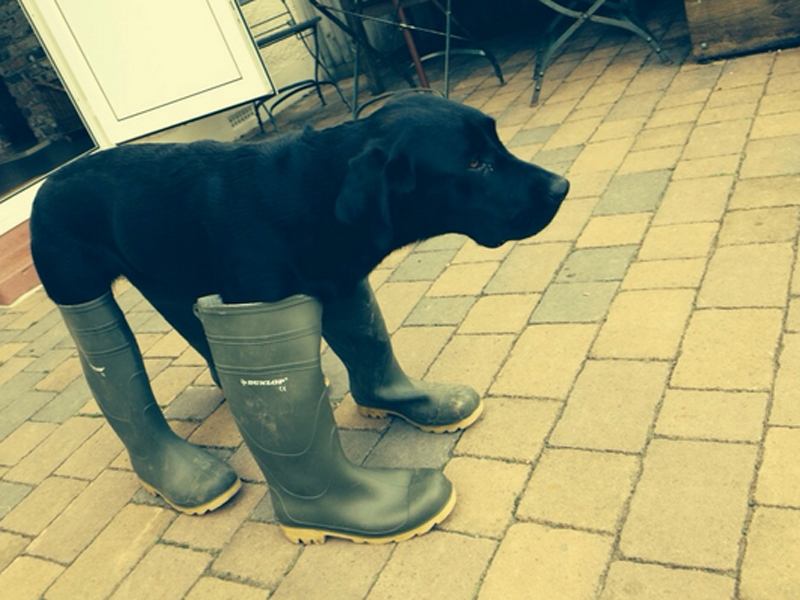 Not all dogs enjoy wearing boots. 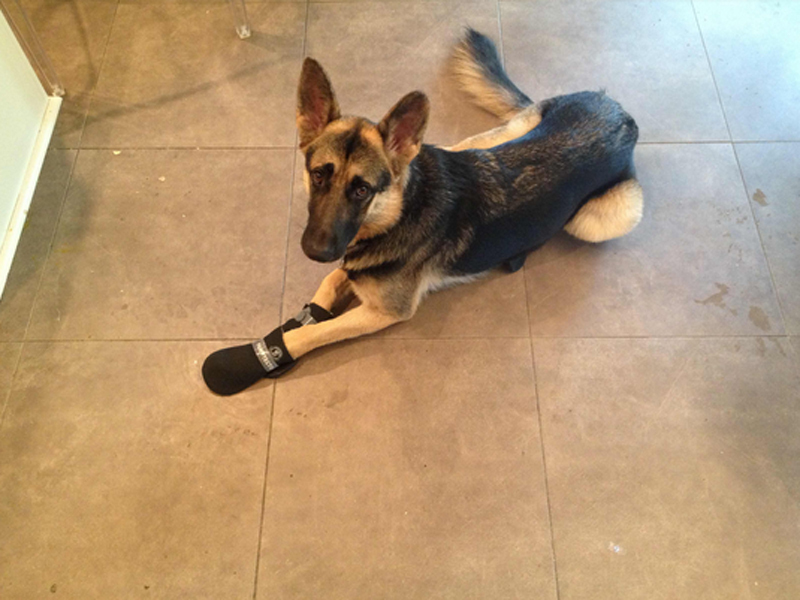 This pup is staying put until they're taken off! 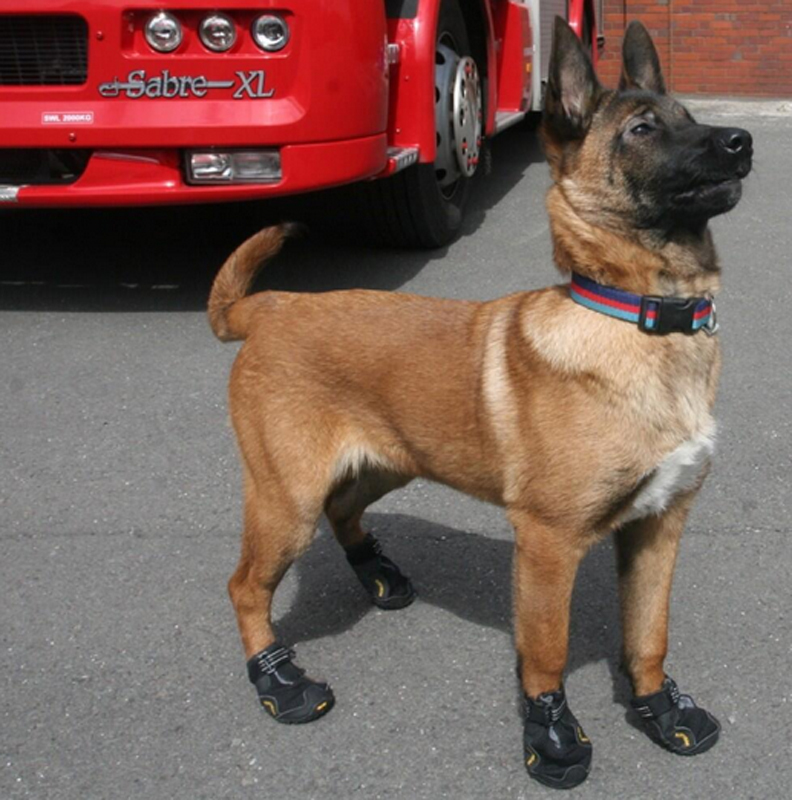 Some dogs know that boots are for the best! One thing is for sure—it won't be easy to run in these big boots!